Manchester United have been boosted by the news that Lazio are lining up a bid for Besiktas midfielder Oguzhan Özyakup, potentially to replace Sergej Milinkovic-Savic who has been linked with a move to Old Trafford this season. 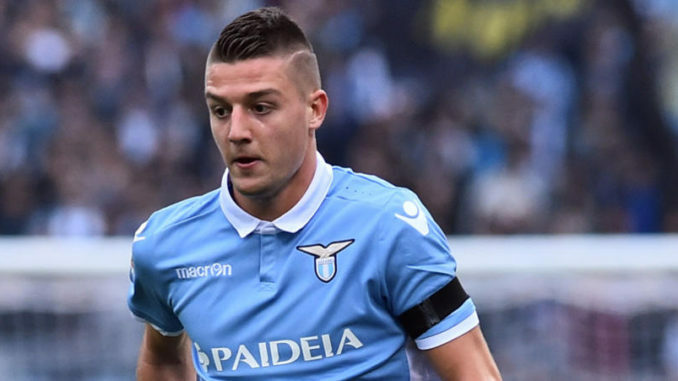 This is good news for United as they’ve been desperate to bring Milinkovic-Savic to England. The 23-year-old has been outstanding for Lazio this season, scoring and creating 11 goals in 25 Serie A starts, creating 39 chances and making 49 successful dribbles. He wouldn’t come cheap with his asking price in excess of £70.5m, but United appear keen to pursue him regardless as they could be short in midfield this summer. Michael Carrick is retiring as a player to become a coach at the club at the end of the season. Marouane Fellaini could be leaving United for free as his contract is expiring in a matter of months. This could force United to move quickly for Milinkovic-Savic, and they may have some luck landing his signature if Lazio are already preparing for his departure.